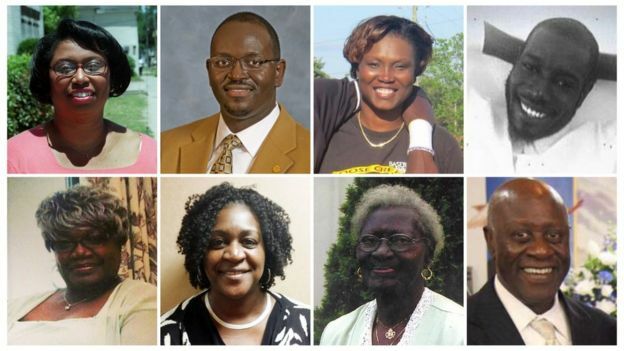 Last week’s tragic domestic terrorist attack by a White Supremacist shooter that killed nine churchgoers inside Charleston’s Emanuel AME Church was absolutely heartbreaking. Perhaps even more shocking were the responses that came from family members of the slain victims at the shooter’s pre-trial hearing where they offered forgiveness at a time of unimaginable grief and suffering. In a world filled with anger, violence, and vengefulness, hatred just couldn’t win. As I watched media coverage of the outpouring of love and compassion for the victims and their families, I watched national news anchors literally stunned by the forgiveness shown by the families. Some were visibly shaken in their emotions on air by the events, which were so moving. The world knows how to handle violence. But it is perplexed by non-violence. One anchor summed it up well when he said it was like something from the first century Christianity. American Christians living in the 21st century are not often accused of resembling first century Christians. Sadly, a growing number of Americans today view Christianity, not as the vibrant faith-driven community of the 1st century, but more as political faction with a holy book. Indeed, according to a recent poll, many Americans admitted that they have lost faith in organized religion and blame the politicization of religion as a large part of their frustration. The good and precious people of Charleston who were victimized by this heinous domestic terrorist attack deserve our love, compassion, and respect. Their example of forgiveness of something so entirely unforgivable stands a glorious testimony to the entire world that while some things are impossible with men, all things are possible with God.